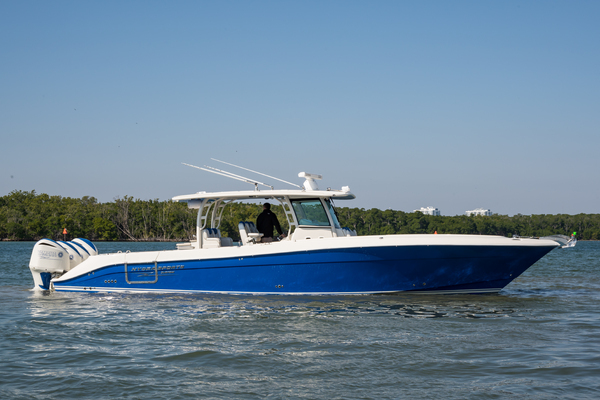 Ready To Go To Bimini, Dry Tortugas Or The Rigs In The Gulf!Custom Sea Vee 340i, Tower, Cuddy And Yanmars!The Twin 6-Cylinder 400 HP Have 1,150 Hours!Lift Kept!Recent Full Service and Ready To Go!! United Yacht Sales New Jersey would love to guide you through a personal showing of this 34' Seavee 340i 2005. This yacht for sale is located in Islamorada, Florida and priced at $114,900. For a showing please contact us by filling out the form on this page and we will get back to you shortly!